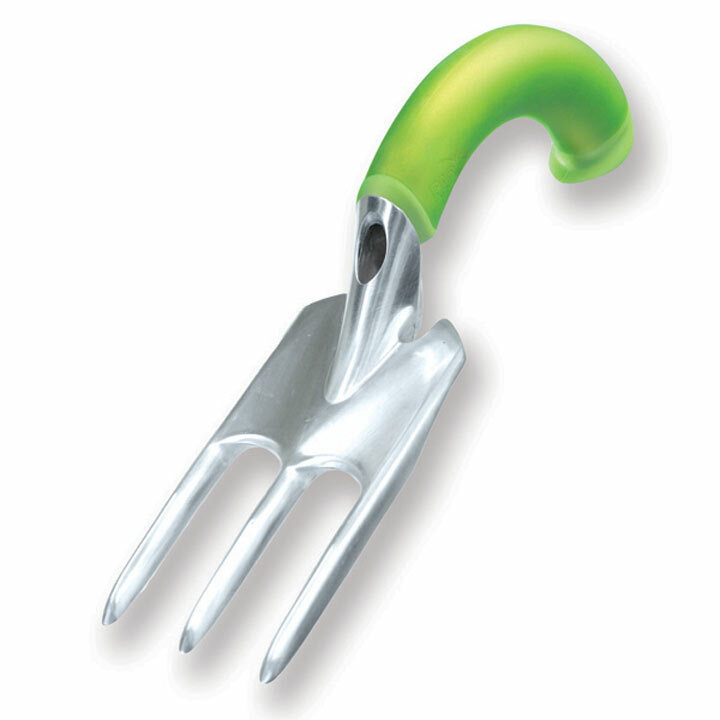 This robust hand fork with its unique curved handle allows the gardener to drive the tines straight into the ground with no wrist stress. Ideal for loosening the soil and digging out root vegetables. Length 33cm.